High availability for critical applications is a top priority for enterprise organizations, and container infrastructure plays a key role. In 1.5, we introduce multi-zone clustering, which enables the distribution of Kubernetes clusters across multiple availability zones or datacenters. 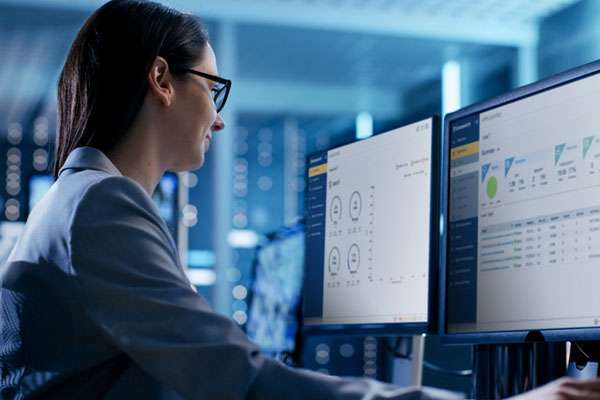 With a multi-zone Kubernetes cluster, it is possible to fail over an application to another zone in the event of an outage, which mitigates application downtime. In addition, multi-zone clustering enables the grouping of networks across various zones, allowing applications to be selectively deployed across on these networks. Multi-zone cluster stability is particularly sensitive to network and storage I/O, and Diamanti guarantees quality-of-service (QoS) at the container level to mitigate noisy neighbor issues. Load balancing architecture is another important enabler of high availability. 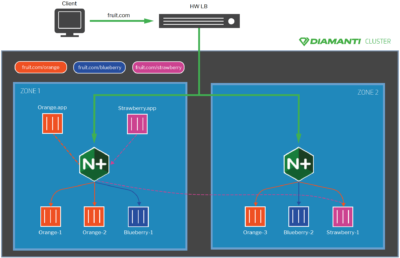 Recently, Diamanti and NGINX established a technology partnership that pairs Diamanti’s plug-and-play container networking and new multi-zone clustering capability with NGINX Plus’s Kubernetes-native Ingress controller and load balancer to deliver modern load balancing architectures and other critical network services for production Kubernetes environments. For more details, read our joint solution brief. Once a multi-zone Kubernetes cluster has been configured, users can define network groups, from each zone and deploy applications only in selected networks. This approach improves security and isolation, and is easily managed in the Diamanti OS. We’ve enhanced the Ingress controller so traffic will always get to live service from a load balancer. This is accomplished by ensuring that live Kubernetes pods are reflected in the application service. With release 1.5, Diamanti now bonds two management interfaces in an active-passive configuration for improved availability. When deploying applications in Kubernetes environments, automation isbeneficial for increasing efficiency and reducing errors. 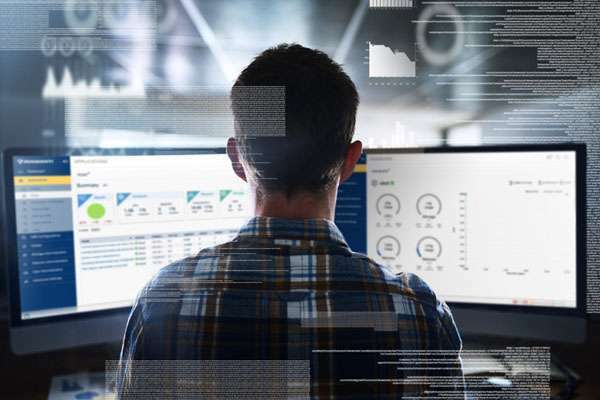 Diamanti now supports the use of Helm charts out of the box, which enable usersto leverage a group of services for deploying complete microservices-based applications within a repeatable process. This also ensures that applications and dependencies are launched together, with the right resources. Kernel-based Virtual Machine (KVM), an open-source virtualization infrastructure for the Linux kernel that turns it into a hypervisor, is now fully supported, allowing users to take advantage of the Diamanti platform’s blazingNVMe storage performance, as well as Diamanti’s guaranteed IOPS and network quality-of-service (QoS). 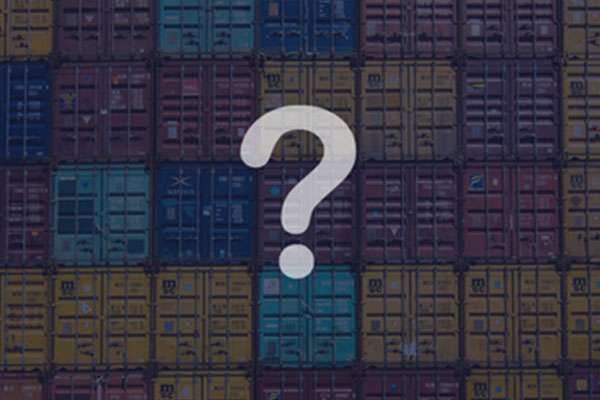 What’s more, VMs can run next to containers on the same platform. Diamanti 1.5 also introduces a new monitoring backend, based on Prometheus, delivering both container and host metrics. The backend supports auto-scaling, based on CPU utilization metrics. For example, users can arrange for new pods to be deployed once a set CPU utilization threshold is reached. Dynamic volume provisioning is now tied to workload scheduling, so Diamanti OS doesn’t provision a storage volume until the associated workload is deployed. This is unique to Diamanti and ensures that stateful sets are well-distributed and that they honor affinity rules. This guarantees data gravity even for complex workloads. The Diamanti roadmap is packed, and our sights are set on delivering more high-value features in our next release, so stay tuned! Until then, please contact the Diamanti team if you’d like us to demonstrate how we enable you to deploy your production containers in 15 minutes.